BEST OF 2017 OPINION: Today’s most effective media pitches are driven by five common desires. 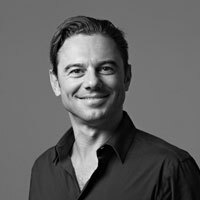 David Indo, CEO at ID Comms, reveals what advertisers increasingly demand from their media agency. Imagine a big media pitch three years ago. In most, procurement would have taken the lead and it would have been heavily-price driven. The desire for substantial and immediate cost savings would have eclipsed any guarantees on media neutrality and demands for uncompromised quality of placement. The agency that could combine a race to the bottom on price with a few shiny ideas would have won the business. Our work in managing pitches over the last 36 months shows that today’s pitches, thankfully, are much better in terms of process, the questions being asked and the relationship that advertisers are aiming to build with their chosen agency partner. That sentiment may not be entirely shared by some pitch-weary media agency execs who feel that their lives have become an endless round of RFI template completion or presentation rehearsals but the good news is that clients are evolving their approach. The results should be positive for both advertisers and agencies. This hasn’t happened in a vacuum. What has driven the change are three seminal events that have transformed the way clients think about media. First, there was MediaPalooza in 2015 when $30bn in media billings came into play at the same time, this re-calibrated the powerlist of holding groups and their media network players. Partly it was about pricing, but it also saw agencies being seriously stress tested on their data-driven solutions for the first time. Second, came the ANA report into rebates, which encouraged corporate CEOs (in many cases for the first time) to ask some difficult questions of those responsible for media governance internally. Finally, in January this year P&G’s Marc Pritchard spoke at a digital conference in Florida and called out the media supply chain with particular focus on digital and accused it of being “murky at best and fraudulent at worst”. Advertisers are demanding greater transparency in the media value chain and an enhanced ability to hold their agency partners to account for the commitments they have made. Many – including, most recently, the UK government – are now using most or part of the ISBA contract framework (and its adaptation for US market) to develop their own terms and conditions. Smart advertisers are also making agreement to the heads of terms a condition of entry to the main body of the review. This brings the contract discussion to the front of the process rather something that can compromised at the very end. Most progressive advertisers are now re-engineering their agency model to directly and uniquely reflect their own operating structures and media needs. An important part of the pitch brief is now the operating blueprint, which asks participating agencies to develop a solution that can not only deliver today but also evolve as client needs’ change. Doing this demands a clear understanding from the client of the role they want their agency partner to play for the next 2-3 years. It’s a clear sign that more long-term thinking is being applied to media. Despite the well-documented “lack of trust” between agencies and clients, the advertisers that we work with remain committed to establishing a partnership where their agencies are invested in their success. This requires an appreciation that true partnership can only come when the agency is remunerated in a fair and equitable way and where added business value is properly rewarded. Thankfully the narrative is shifting away from the singularity of price to a greater appreciation of the broader and more powerful impact that media value can provide. Competitive media pricing is still important but no longer at the expense of media neutrality. Ad-fraud and misplacement of digital inventory are growing concerns and advertisers are increasingly using media reviews to stress-test and implement new policies around digital supply chain transparency, viewability, brand safety and ad placement. Agency partner selection is increasingly dependent on a belief that the “murky supply chain” can be made cleaner and it is the responsibility of the agency to provide leadership on that objective. The end result of three years of dramatic change is that more pitches are finally being designed around the right the questions. The result is a better balance of media governance and responsibility between the guardian of media on the advertiser side and those on the agency side. Over time it will help establish a new mutual respect based around smarter client thinking and more transparent working practices at agencies. The common goal, after all, is to get everyone using the undoubted power of media to drive business growth.